The “dynamic medical textbook” we have been waiting patiently for might be one step closer to fruition. Ganong’s Review of Medical Physiology, a trusted textbook for medical student education, was just released on the Inkling platform. 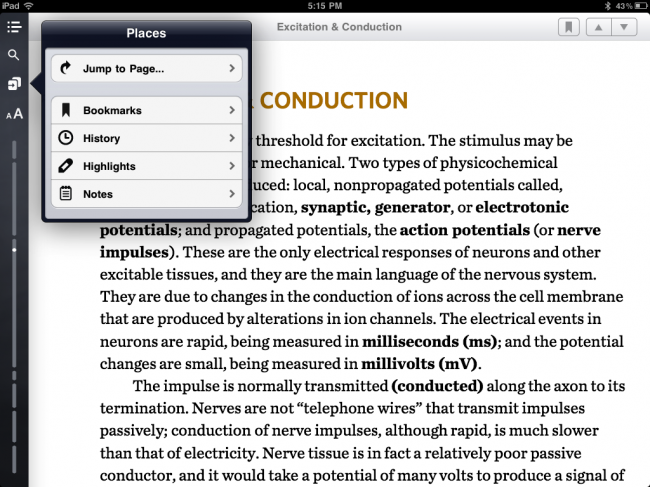 Inkling is a textbook application that was built exclusively for the iPad platform and features “interactive textbooks” — basically, bringing textbooks alive. Once you download the free Inkling app, you are able to view various textbooks they offer. Ganong’s Review of Medical Physiology is one of these texts. Another exciting medical e-book that will soon be released is Essential Clinical Anatomy. 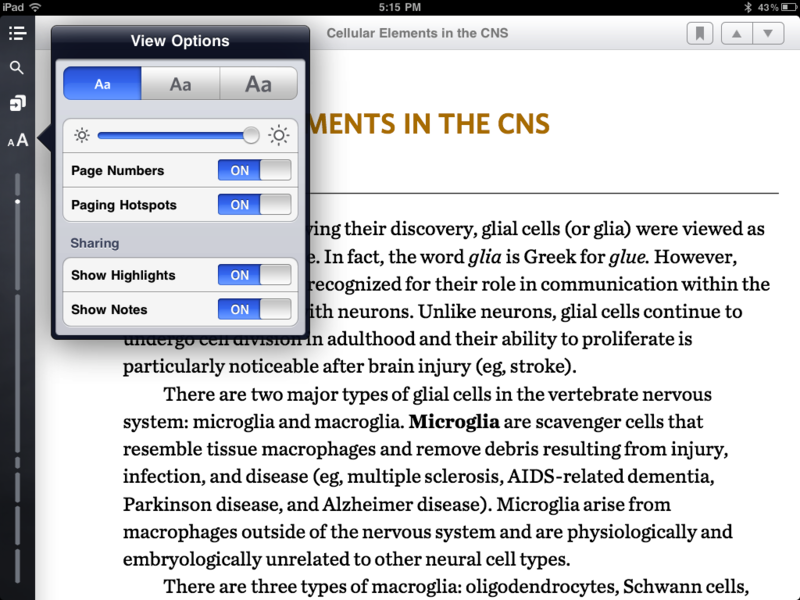 There are two main features that make the Ganong iPad medical textbook extremely exciting: How truly interactive the textbook is via touch response based modules and videos — and the ability to purchase individual chapters for $1.99. 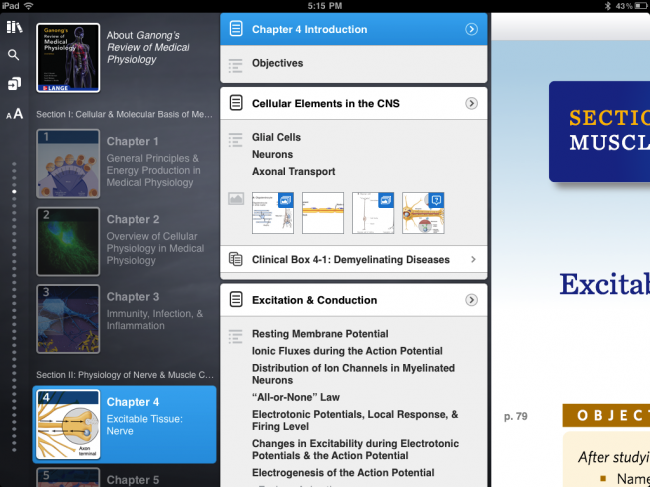 The full price of the textbook is $64.99, but the ability to purchase individual chapters is huge for a medical student — especially in regards to a physiology text, where you can pick chapters related to your weaknesses. In the future we’d love to see the option to “rent” chapters, and this current pricing model may lay the foundation for such a feature. 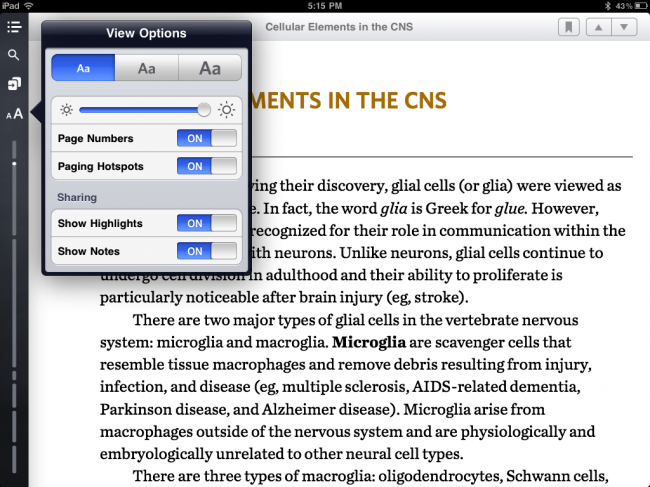 In the following review we’ll take a look at a chapter in Ganong’s Review of Medical Physiology for the iPad and go through the multimedia features, along with the robust annotation features available. Chapter 4, titled “Excitable Tissue: Nerve”, is a sample chapter Inkling allows users to download for free to get a better understanding of how the textbook functions. Once you click on a chapter, you are presented with blocks of content separating out the various multimedia features available. Anytime you click on a particular block, you can go back and forth by swiping forwards or backwards, extremely intuitive. Let’s hope to see that develop on more OSes and with more books in the future! If the chapter purchases are done in-app only and the content is not available directly from Apple’s iBooks store, doesn’t this violate their new policy for publishers? The one that everyone is assuming is aimed at Amazon? This is a good point, and something we addressed in a recent post. I think this is where the iPad can truly shine. I really hope that a few years from now textbooks will be completely eliminated even in grade school in favor of these intuitive, update-able, and extremely interactive versions. DOES ANYONE KNOW IF NELSONS TEXTBOOK OF PAEDIATRICS IS AVAILABLE ON IPAD?